Andy Keogh has scored 34 goals in 70 appearances for Perth Glory FC. Perth Glory have today confirmed that star striker Andy Keogh has extended his contract with the club, keeping him in the west until 2019. The new contract locks in Glory’s top Hyundai A-League era goalscorer until the end of the 2018/19 Hyundai A-League season. “We are delighted to secure the services of Andy Keogh beyond next season, a player who plays such a key role in our team and club,” said club CEO Peter Filopoulos. “Andy is now well settled in Perth and excitingly, he is also working towards securing his Australian citizenship. Since arriving to Perth Glory ahead of the 2014/15 Hyundai A-League season, Keogh has played 70 Hyundai A-League games and scored 34 goals (12 in 2014/15, 10 in 2015/16 and 12 in 2016/17). 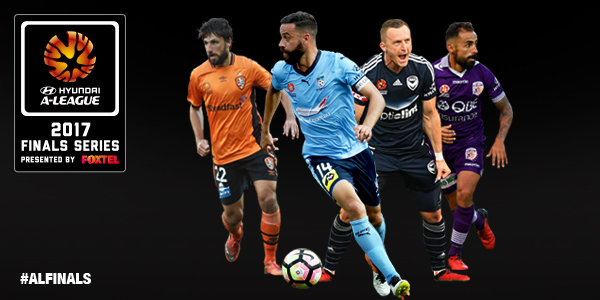 Despite his relatively short tenure at the club, Andy was recently voted by Perth Glory members as part of its Ultimate XI (1996-2016) team of the last 20 seasons. “I’m thrilled that I have extended my contract for another year which will see me at the club for at least the next two-seasons,” said Keogh. “I am happy at Perth Glory and my family and I have settled well in Perth and WA. “I am also excited with what we are building here at the club and look forward to helping bring success for our members and fans very soon. I can’t wait for the 2017/18 season to begin,” the Irish striker added. Goals, goals and more goals. Perth Glory’s season saw plenty of them – for and against – as Kenny Lowe’s side finished one game shy of the Hyundai A-League Grand Final. We examine Glory’s season and look ahead to the 2017/18 campaign. What. A. Player. The Spanish maestro had another sublime campaign, providing some of the Hyundai A-League season’s most memorable moments. His effortless first touch, close control, ability to beat opponents with outrageous pieces of skill and goalscoring ability made him close to the complete player. In fact, Perth boss Kenny Lowe said he was the best in the competition “by a country mile”. When opposition sides nullified Castro (which few managed, apart from Sydney FC in the semi-final), they went a long way towards blunting Glory’s attack. The news that he has signed a one-year contract extension is a massive boost for Perth’s chances of going one better next season. The talented 21 year-old midfielder signed at the start of the season after three years playing in the under-18 and under-21 sides at English club Burnley. He featured in 22 of Perth’s matches, starting on 14 occasions and not looking out of place in cut and thrust of the Hyundai A-League. He is currently in camp with the Australian under-23 squad preparing for the upcoming AFC U-23 Championship qualifiers in Myanmar and looks every inch a star of the future. 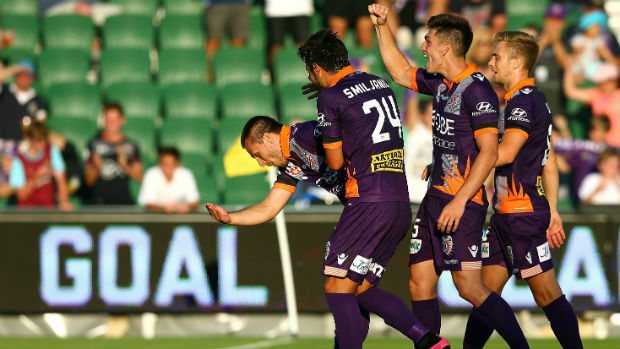 Leading their round 27 match against Melbourne City 3-1 with 15 minutes to go at nib Stadium, Glory won a free-kick on the edge of the penalty area. The Serbian dead ball specialist was quickly sent on and with his very first touch, curled a sumptuous curling shot over the defensive wall and into the top corner. Talk about an instant impact! 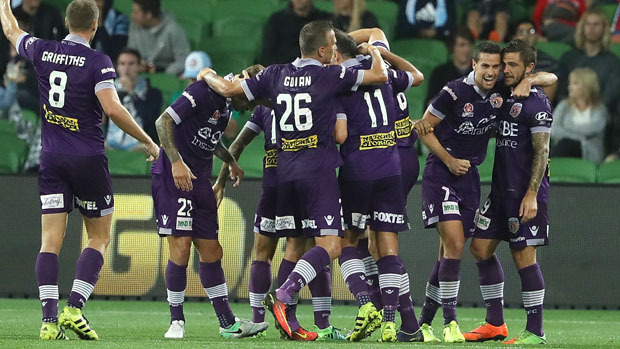 Glory’s games against Melbourne City were among the best in the 2016/17 Hyundai A-League. 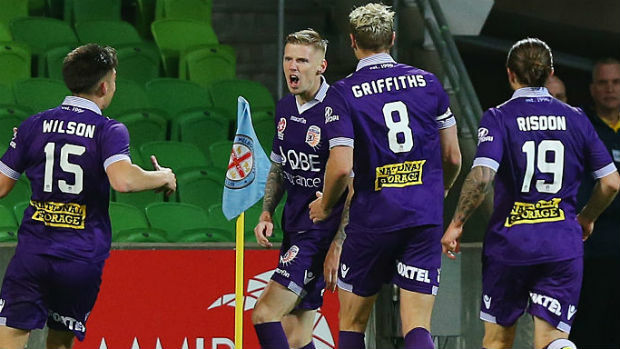 Andy Keogh’s superb hat-trick in round three gave them a 3-2 away win while Liam Reddy’s dual penalty saves from Bruno Fornaroli earned Perth a 3-all draw in round 12. Then there was the crazy nine-goal thriller to end the season, complete with five different Glory goalscorers and goalkeeper Liam Reddy’s astonishing dribble towards halfway late in the contest. 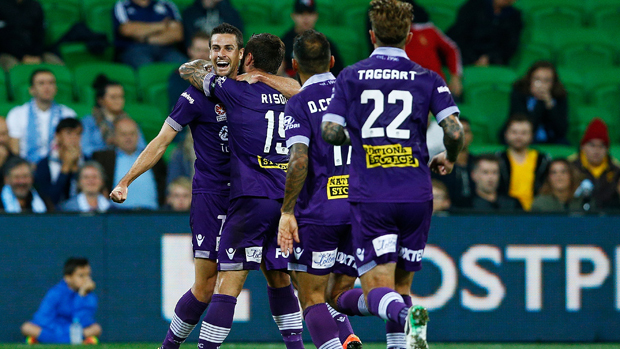 Most satisfying though was the 2-0 win in the elimination final the following weekend at AAMI Park where Glory were worthy winners in one of the most complete performances of their very good season. Three wins in four February outings had Glory third heading into the final six games of the campaign, but just two points from the next possible 12 eventually put paid to their chances of a top four finish. Losses to Melbourne Victory and Sydney FC were book-ended by draws at Phoenix and Adelaide, seeing them slump to sixth on the table. Injuries certainly didn’t help with Shane Lowry, Alex Grant, Rostyn Griffiths, Mitch Oxborrow and Nebo Marinkovic all out for some or all of that period. With Josh Risdon, Dino Djulbic, Lucian Goian and the Williams brothers (Aryn and Rhys) all departing, defensive reinforcement will be needed. Moves have already been made in that area with Scott Neville returning to the club he played his first four Hyundai A-League seasons with and Mariners centre-back Jacob Poscoliero also heading west. Regardless of how they line up defensively, some tightening is needed to avoid a repeat of the 56 goals Perth conceded in 29 games this season. Nebojsa Marinkovic departs as does captain Richard Garcia and youngster Mitch Oxborrow, so some midfield strengthening is also in order but in the attacking third, things look very rosy with Kenny Lowe retaining every member of his potent strike-force for 2017/18. Scott Neville, Jacob Poscoliero, Joe Knowles. Dino Djulbic, Richard Garcia, Lucian Goian, Nebojsa Marinkovic, Mitch Oxborrow, Jordan Thurtell, Kosta Petratos, Josh Risdon, Aryn Williams, Rhys Williams. Re-signing Diego Castro is probably the single most important piece of business in the entire Hyundai A-League. With him pulling the strings, anything seems possible for Glory. 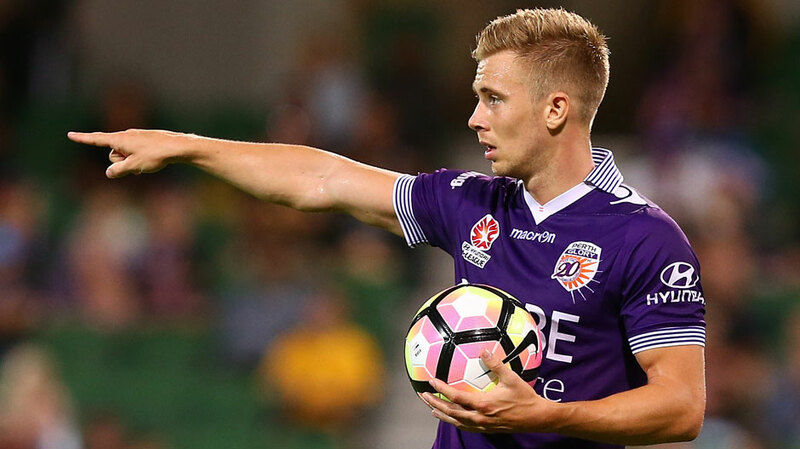 With Andy Keogh, Adam Taggart, Chris Harold and Joel Chianese all contracted for next season, Glory look set to continue the sort of attacking style which saw them score 55 goals this season. The side will also gain confidence from going within one game of the grand final and Kenny Lowe – who oversaw his 100 th game in charge in week one of the finals – continues to impress as a colourful and astute coach. Make no mistake – Glory will again be in the hunt in 2017/18. Rhys Williams will depart Perth Glory. Perth Glory have today confirmed that 10 players will depart the club following the conclusion of the 2016/17 Hyundai A-League season. Shane LOWRY, Alex GRANT, Chris HAROLD, Andy KEOGH, Adam TAGGART, Joseph MILLS, Rostyn GRIFFITHS and Brandon WILSON already have existing contracts for next season. Negotiations are on-going with remaining players. A spot in the Hyundai A-League Grand Final is up for grabs when Sydney FC host Perth Glory on Saturday night. The Premiers enter the Hyundai A-League Finals Series as everyone’s favourite to be crowned champions. Can Glory cause another upset and halt the Sky Blue juggernaut in its tracks? After an all-conquering, record-breaking season, most expect Sydney FC to continue their inexorable march to the Hyundai A-League championship. This season, they accumulated more wins and points than any previous side and conceded fewer goals and kept more clean sheets than anyone that has come before. They secured the Premiers Plate well before the end of the season, eventually opening up a 17-point chasm back to second place. And they’ll certainly go into the semi final as warm favourites. 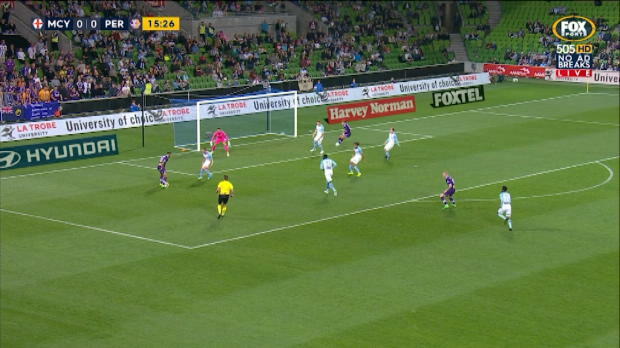 But no-one really expected Perth Glory to beat Melbourne City last weekend. And yet they were worthy winners of their elimination final and are full of confidence as they seek to claim the biggest scalp of all. They have momentum, unity and in Kenny Lowe, a coach who is looking more like a master motivator and tactician every week. However, beating an out-of-sorts City is one thing; overcoming the side many are calling the best in the 12-year history of the Hyundai A-League is entirely another. Sydney FC have comfortably won the three clashes between the two this season, scoring 11 goals in the process. They’re odds-on to ease into the Grand Final. But all bets are off comes finals time. 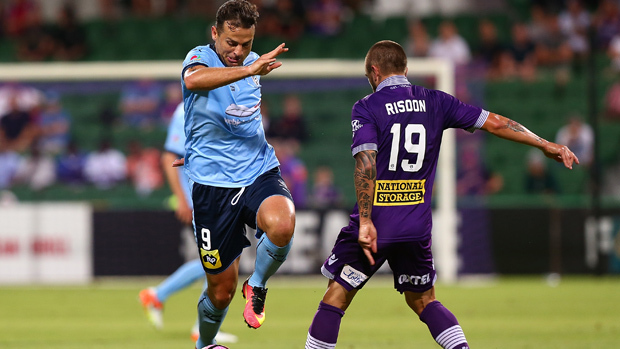 – Sydney FC have won their last four games against Glory, scoring 15 goals and conceding just two in the process. – Perth have won just two of their last 10 games at Allianz Stadium. – Sydney FC have never lost a finals game at Allianz Stadium (W4, D3), and have scored four goals in each of their last two such fixtures. 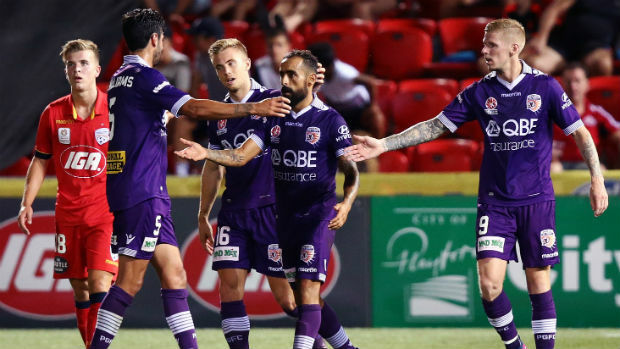 – Off the back of their 2-0 win against Melbourne City, Glory will be looking to win consecutive away games for the first time since Round 25 last season. – Sydney FC fullback Michael Zullo needs just two more crosses to become the second player to contribute 100 open-play crosses this season (Ivan Franjic 103). 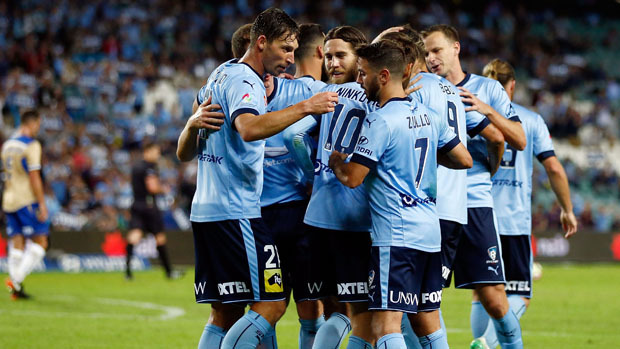 From the moment they put four goals past the Wanderers on the opening weekend, the Sky Blues have been the Hyundai A-League’s most prolific side. They averaged better than two goals per game across their entire campaign. Brazilian Bobo scored his debut goal in the derby and was consistent all season, netting 15 times. 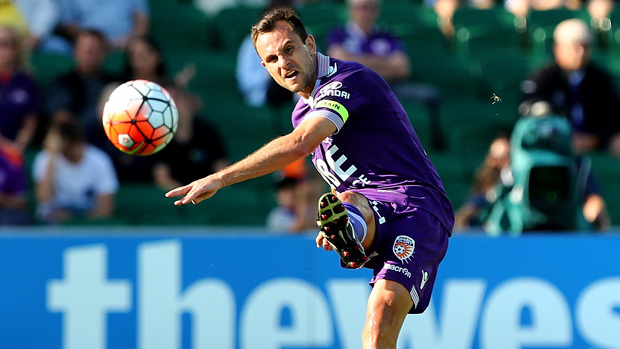 Skipper Alex Brosque rolled back the years and enjoyed a superb goal-scoring season in the Hyundai A-League with 11. And Slovakian striker Filip Holosko chipped in with seven goals. 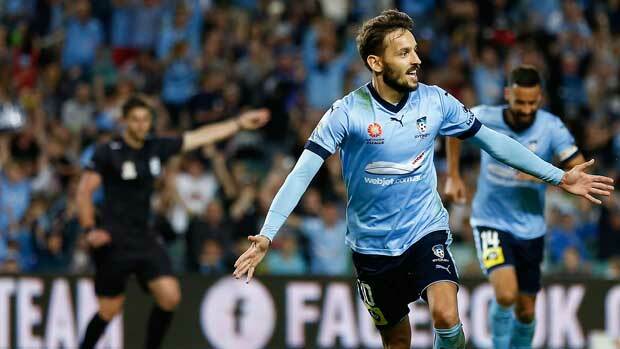 The supply line to that trio came largely from the favourite for this season’s Johnny Warren Medal, Milos Ninkovic. The Serbian playmaker has been simply sublime, contributing ten assists as well as nine goals of his own. But Glory are no attacking slouches. They’ve now scored the same number of goals as Sydney FC this season, albeit in one more game. They are also the only side to have three goalscorers in double-figures. Diego Castro has 13 with Andy Keogh and Adam Taggart both netting a dozen. The Spanish maestro has also provided seven assists and most of Glory’s best attacking moments have him at their heart. If Sydney can contain Castro, they’ll go a long way towards blunting Glory. WHO’S BEEN IN THE NEWS THIS WEEK? Glory defender Dino Djulbic was nothing short of Herculean in a man-of-the-match performance against Melbourne City, repelling their various attacking threats in a typically wholehearted performance. 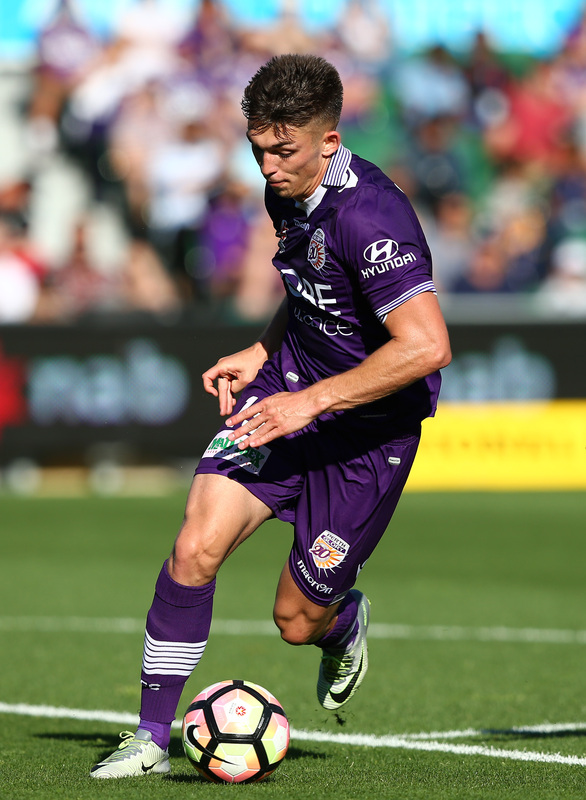 Could midfield warriors prove glorious for Perth Glory ? 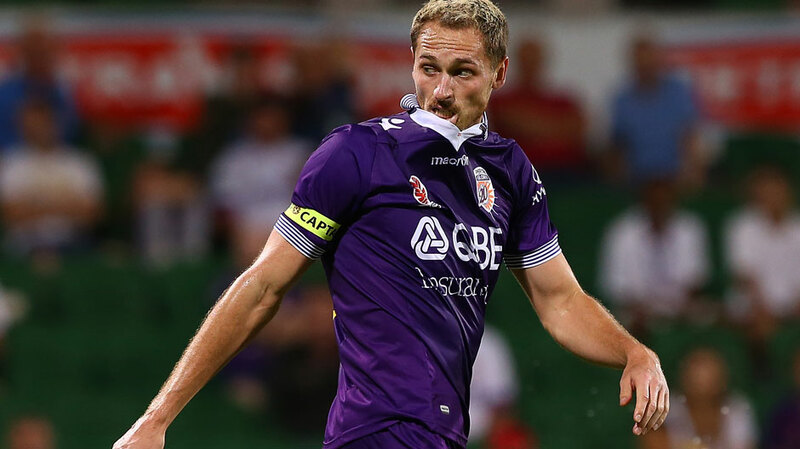 The experienced combination of captain Rostyn Griffiths and ex-skipper Richard Garcia in central midfield could be Perth Glory’s formula for success as they prepare to face Sydney FC in Saturday night’s Hyundai A-League semi final. Glory defeated Melbourne City 2-0 in last week’s elimination final to set up a semi-final clash with the Sky Blues on Saturday night in Sydney, with Perth registering just their fourth clean sheet of the campaign. 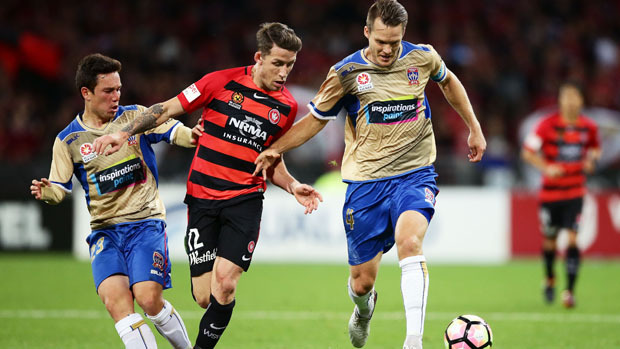 Perth had finished the A-League regular season level with Newcastle Jets as the worst defensive team in the competition having let in 53 goals in 27 games. But up against a City attack that had scored four goals the week previous – Glory had won 5-4 at nib Stadium – Perth kept the likes of Bruno Fornaroli and Tim Cahill scoreless to move within one match of the 2017 Hyundai A-League grand final. Asked what had changed, Glory striker Andy Keogh highlighted the performance of Griffiths and Garcia. “Richie Garcia’s come in with the captain ‘Griffo’ – that’s a two that’s not been played before,” the Irishman said. “Lucian [Goian] is finding his feet, Dino [Djulbic] had an excellent game getting man of the match. “‘Wazza’ [Marc Warren] has come in and done great. You know, people have been on his back before but we thought it was one of his best performances of the season. “He got [Bruce] Kamau dragged [at half-time] and what more can you ask? Garcia had to wait until the start of March for his first A-League appearance in his third season with his hometown club. Perth coach Kenny Lowe started 2016/17 with Griffiths and Brandon Wilson as his preferred central midfield combination, with Rhys Williams, the now-departed Milan Smiljanic and Mitch Oxborrow just some of the others to have started in the middle of the park. 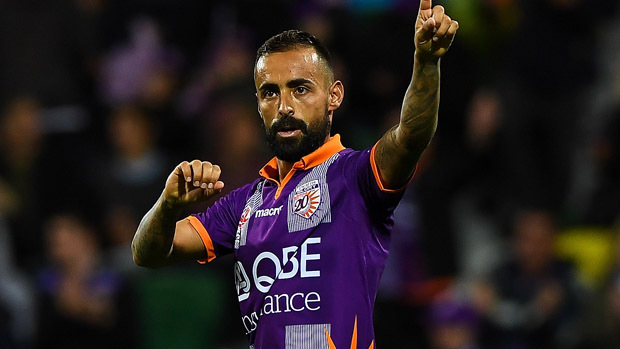 Garcia, 35, has started in Glory’s last four games as the men in purple have gone undefeated in that period, and he did a fine job in screening Perth’s back four alongside 29-year-old Griffiths in Melbourne. Perth must now turn their attention to the premiers. “Of course we have what it takes [to beat Sydney],” Keogh said. Sydney will host Glory at Allianz Stadium on Saturday night. 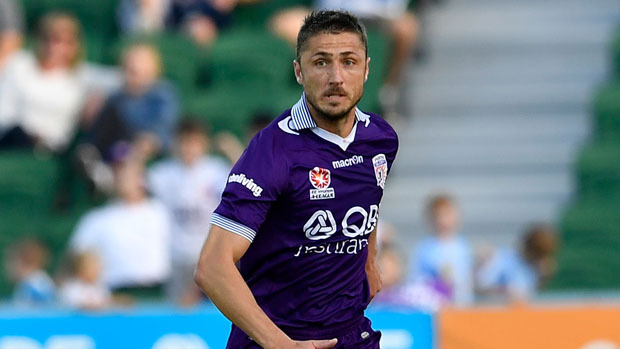 After his man of the match display in Melbourne last week, Perth Glory’s man mountain Dino Djulbic says he’s full of energy and revelling in the prospect of stunning another big gun of the Hyundai A-League. 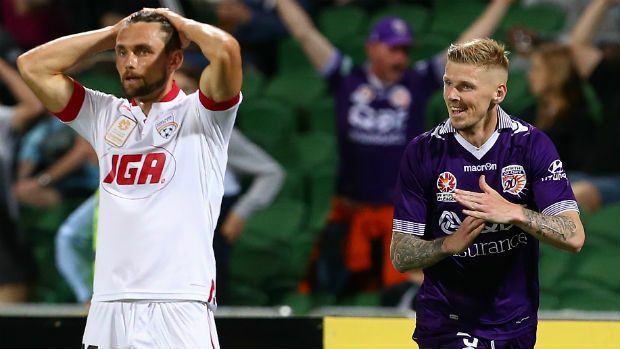 Glory beat the richest squad in the Hyundai A-League last weekend in the Elimination Final. Now, after a flight back to WA in between, Perth have their sights set on overcoming the competition’s best team in Saturday’s semi final with Sydney FC at Allianz. And with a revitalising coffee on Saturday, Djulbic hopes to be back to his fearsome best again when he faces Bobo, Ninko and Co.
And rather than being intimidated by the Sky Blues’ feats this season, Djulbic believes the opposite applies, at least to him. “They’re good players and I love playing against big, good players. “It brings the best out of me. “They’ve got to come out. They’re playing at home and everyone expects them to win. “We just do our own thing. “No-one tipped us to win last week. “We proved everyone wrong and we’ll keep proving everyone wrong and do it again. “We showed last week what we can do and we’re just going to grow from there,” said Djulbic. And the rugged centre-back laughed off suggestions of remaining calm ahead of the biggest match of the season. “I thrive on energy,” he grinned. “As soon as I wake up, I thrive on energy – I have a few coffees and go from there! “I love playing in the pressure [games]. “I think I’ve shown it this year and in previous years. “The more pressure, the better,” he said. “I’m expecting us to go there and win,” Perth defender Dino Djulbic told reporters ahead of Saturday’s semi-final against Sydney FC. “It’s as clear and simple as that. “It’s one game – the loser goes home and winner goes to the Grand Final – and we want to go the Grand Final,” he declared. Graham Arnold has confirmed his star playmaker Milos Ninkovic will start against Perth Glory in Saturday night’s semi-final. 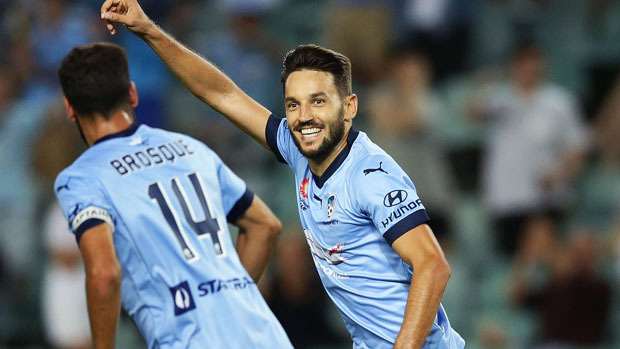 Ahead of the Sky Blues’ entry into the Hyundai A-League Finals Series, upbeat coach Graham Arnold has confirmed his star playmaker Milos Ninkovic will start against Perth Glory in Saturday night’s semi final. Ninkovic has recovered from the ankle injury he sustained in Round 27 against Newcastle. “He’s 100 percent,” Arnold told reporters as Sydney FC continued their buildup to Saturday’s semi-final at Allianz Stadium. “He trained individually at the end of last week and if we needed to push him to play last weekend he would have been fine. “He’s trained all week with the group, did a physical session yesterday with 4 v 4s and he was like he normally is. “He’s 100 percent and will play,” Arnold repeated. After a week off, the Sydney FC mentor says his players are reinvigorated ahead of the most challenging part of the season. “When we come into training every day, we come in preparing to win the game,” said Arnold. “We expect to win on Saturday night. “I know the players are expecting that and so am I. “Physically, we’re in top shape – everyone is 100 percent fit. “The mental freshen-up has probably made them even more ready to go. “I expect our best performance over the next ten days,” he said. 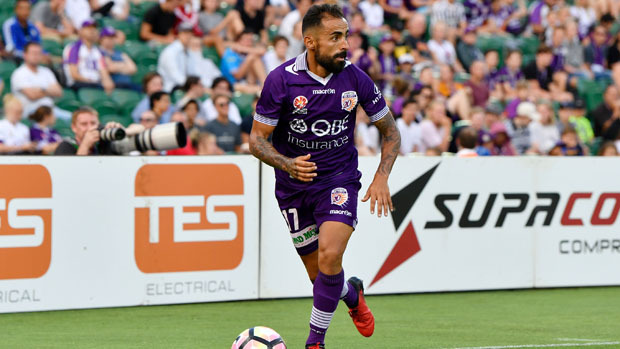 Arnold insisted Sydney FC haven’t put special plans in place to deal with the man most likely to cause them problems – Glory’s sublime Spaniard Diego Castro. 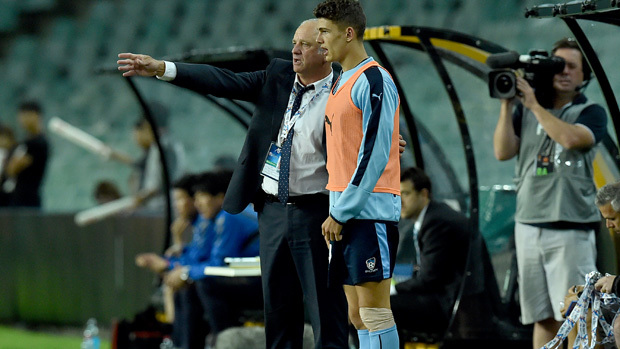 “Like all the good players across the A-League, if he’s given space and time he’s a very good player,” said Arnold. “We’ll have a plan not just for him, but the whole Perth Glory team – it’s not a one-man show. “I prefer to look at ourselves and see what we can do to not only nullify Perth but to expose their weaknesses,” he added. And “Arnie” has no doubt where Saturday’s game will be won and lost. “The goalposts haven’t been changed, the size of the field hasn’t been changed, the personnel hasn’t been changed,” he said. “It’s about attitude and performance. “That’s what we’ve been driving the boys [with] this week – the mental aspect of the game. “It’s about performance and the one-percenters,” he said.